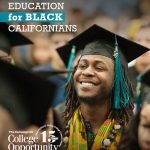 Your role in one sentence: To influence California policy makers and college leaders so that more students can go to college and graduate and to be a voice and advocate for students as I champion efforts to eliminate racial inequities in higher education so that we can keep California’s economy strong. When I am not at work helping students get to and succeed in college I am…I am cheering for my son at a soccer game and in awe by the passion and smarts of my daughter. If not higher education then what cause? 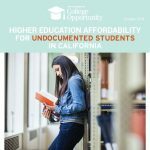 I would support undocumented students so more of them could realize their college dreams and I would fight for women’s equality. Can I also serve as company for Anthony Bourdain’s tapings of Parts Unknown? Michele Siqueiros was the first in her family to graduate from college thanks to many mentors, caring faculty, and critical federal, state and college financial aid. She is passionate about the power of college to change lives, and the ability of policy making to expand college opportunity for others. As the President for The Campaign for College Opportunity, Michele is an advocate who works to expand college access and success for California students by raising public attention to the critical challenges facing students in our community colleges and universities, mobilizing a broad coalition of supporters, and influencing policymakers. 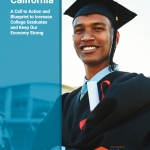 The Campaign’s mission to increase college going and completion rates is driven by a strong belief that California’s future economic success depends on our ability to produce the best educated workforce in the nation and that our diverse population of young adults deserve the same opportunity provided to previous generations – regardless of race or socio-economic status. 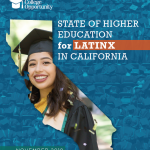 Under her leadership in 2010, the Campaign led the effort for historic transfer reform that makes it easier for students to transfer from any California Community College to the California State University system through the Associate Degree for Transfer. 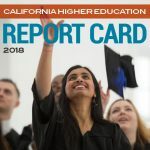 Over 149,000 California students have earned the degree and in 2018 the University of California announced a formal MOU with the California Community College system to provide a UC guarantee for Associate Degree for Transfer earners. Michele has advocated for millions of additional state dollars to expand student enrollment and student success funding at our community colleges, CSU and UC’s. She also advanced legislative efforts to increase access to Pell Grants, protect Cal Grant funding, support undocumented and DACAmented students, promote college readiness, prioritize community college student success efforts and reform remedial education. Across all these priorities she shines a bright light to the persistent inequities by race/ethnicity/income and calls on our college leaders and policy makers to address them. In her 15 years at the Campaign for College Opportunity (11 as President), she has built a strong, independent, and influential organization by raising over $21 million dollars, assembling a team of experts and leaders in the field, championing major budget appropriations, securing historic higher education legislation and establishing a broad and influential network of over 12,000 coalition supporters. Under her direction the Campaign has released powerful higher education research including prominent reports on college access and success rates, the lack of diversity amongst college leaders and faculty, the powerful return on investment for spending by the state in our colleges and universities, and the need for major improvements to close racial/ethnic gaps, fix transfer and reform remedial education at our colleges. Every day she is motivated by the many students who are working hard to reach their college dreams. Michele has a Bachelor of Arts degree in Political Studies with Honors in Chicano/a Studies from Pitzer College and a Master of Arts in Urban Planning from the University of California, Los Angeles (UCLA). 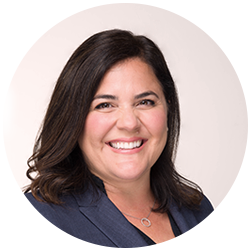 She serves on the Boards of the Alliance for a Better Community, the Alliance for College-Ready Public Schools, Pitzer College Alumni, PPIC Strategic Leadership Council and in 2019 was appointed by Senate Pro Tem Leader Toni Atkins to the Student Centered Funding Formula Oversight Committee. She previously served on the California Student Aid Commission.